I wanted an organized toolbox, so my girlfriend decided to make labels to help me find tools faster. This can also be a great gift for anyone with a toolbox. We used magnets we had laying around from the free ones off of the phone book. We found these magnets free on phone books, why buy them when you can recycle them for free. If you don't have any, you can buy them at the local office supply store. Try to decided how many magnets you will need. Each magnet makes 2 labels. Print or write your labels that your going to make. We made the boxes a little larger then a business card to make cutting the labels out easier. The size we used was 3.6" x 2.1"
Cut out the labels, we left the box around the labels for applying them to the magnets. Glue the labels to the magnets. You can move the labels around a little to get it straight while the glue is still wet. Cut off excess paper, but be careful not to cut the magnet. Measure the magnet and cut it in half creating 2 labels. 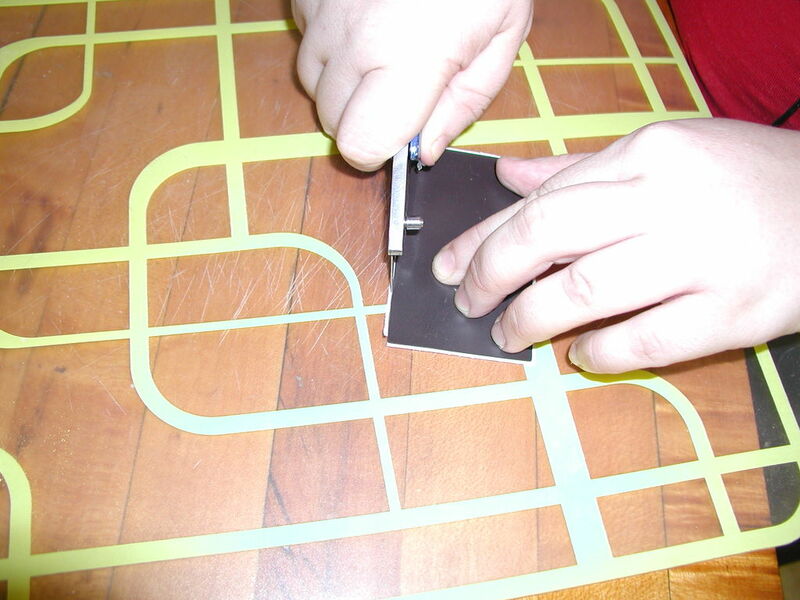 Round off edges if necessary to make them look better. Seal the labels with a clear enamel spray to protect them and keep them looking nice. Apply the labels to your toolbox and enjoy your work. Or give them to the person in your life that needs a little more organization. I do this using double sided tape. I like putting photos on them. Brilliant. I love the idea of using magnets as labels! I would have just put nasty stickers on there that would have eventually had to be peeled off and left a mess. That is what I do. The labels out of my label maker come off pretty good, so well in fact I've been able to peel them up and stick them someplace else so far. Recycled a couple labels like that already. If I ever see any free flexible magnet stuff I will try to remember this idea. Most stuff I label isn't magnet friendly though. Great instructable. I did something similar. I took some old flat refrigerator magnets and cut them into equal length rectangular strips. Then I sprayed the nonmagnetic side with krylon chalkboard paint. That way, I could write whatever I wanted on the labels. I like the idea. I have been thinking about recycling some old industrial cabinets. Do you have a picture that shows the whole thing? I assume your talking about my butcher block cabinet. I do not have one at this time but I will see what I can do. I wish I had pictures of it when I got it though I pulled it out of a building looking like trash and spent to days cleaning it up for my office. Right now it is on my showroom floor as my project center. Good job. I will be looking to do something similar. What a great idea to recylcle those magnetic bussiness cards you get everywhere. Good idea I changed it, this was my first Instructible. Thanks for the suggestion.